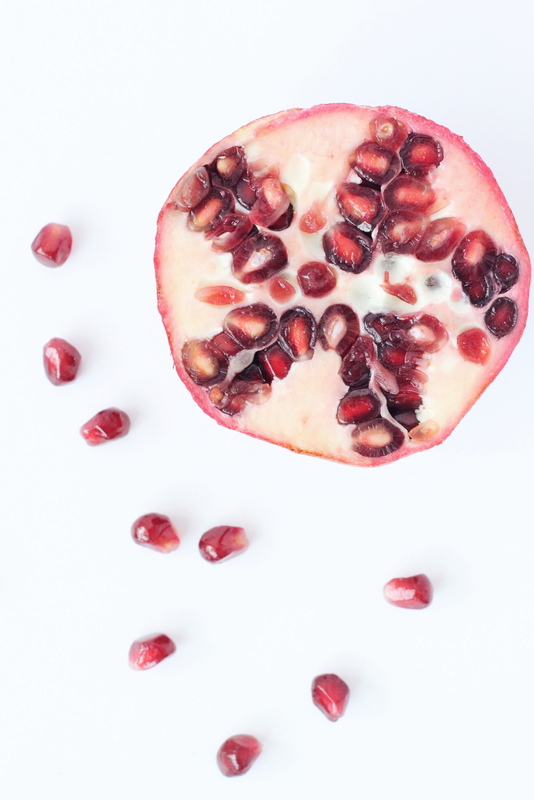 As part of the Special Weleda Natural Beauty and Holistic Health Series, I am tackling the issue of values and conscious consumerism in today’s post. We live in times when people relying on harmful drugs for each and any ailment is normal. When words like “busy” and “stressed” are mistaken for achievement and self-importance. Times when wastefulness is easiest and cheapest. When climate change deniers hold prominent political offices. Times when people fall prey to fast fashion’s false promise of happiness through consumption. When people are overwhelmed with the number of things they own, feeling empty and disillusioned. Times when cosmetics are full of chemicals under the disguise of the magic ingredients. Most importantly, we live in times when many people and businesses do not care about how they get ahead. Even if that getting ahead means someone else is suffering because of it. You can say we live in quite somber and grueling times! But there is also light and resistance to counteract this societal darkness: More and more, people are returning to natural ways of living, eating, and healing. Daily mindfulness practices are no longer confined to some faraway monasteries or hippie meditation retreats. Going zero-waste and avoiding plastic has become a meaningful way of rethinking one’s harmful habits. Minimalism is the new mainstream movement of the woke generation. Decluttering with the Konmari method has allowed many people to decide which things really spark joy in their lives. Scientists all over the world are strengthening their determination to show us how humans are impacting our environment and climate. Fair fashion is no longer just a fringe movement and has arrived in many major brands’ strategic plans. The beauty and health fields are experiencing a true reawakening of the “natural”, with brands understanding the human body as a complex and sacred organism. It would seem that conscious consumerism is the logical choice if you want to make a difference in the world, right? Yes and no. According to Alden Wicker of Eco Cult, it isn’t the only or even the most effective way to bring about change in the world. Alden has written about the minimal impact conscious consumerism may have compared to say pressuring companies directly on her blog. Another way of being more effective is to donate to NPOs. These often have the necessary political pull or organizational structure to lobby for changes in a way that individuals cannot. Working for a large international human rights organization, I know firsthand how much these can affect policy. They have possibilities and ways of acting that operate on a different level than individuals. Even though I agree with Alden on the different scales of impact, I still think it comes down to each person and what feels right for them. Maybe you are happy knowing that your time and money goes farther when donating or calling your representative. But maybe you want to focus on your own habits. Not just as a way of creating impact towards the end result but also of feeling better in your everyday life- As a way of growing as a person. Which is the end result in a way, isn’t it? So why not do both: change your own ways AND donate to political or non-profit organizations or amp up your political voting game. Even Alden sees that as a valid option. There is also something to be said about the negative cognitive bias that may kick in when people do good: Often, people will feel like they have done their part when doing something good and use that as a justification for future bad choices. Let’s not take the risk of screwing over our own good deeds. Whatever way you choose to make a difference, once you are clear on your own values, what to do next will become clear as well. So as a conscious consumer, how do you decide which brand or movement to support? It will depend on your specific values. Inner conflict and unhappiness often arise out of some value conflict: If for example, you value natural health and well-being, then you want to look for a brand that has a clear mission to further natural healing and that you can trust to walk the talk. We hear and read a lot about values but so often we are not very clear on what our own values are. We might be cognizant of our values or we might just live life not thinking about them at all. Either way, what we do, how we live, what we say, everything reflects a value or another. In times like these, knowing our values is not optional. Our values highly impact the choices we make, the things we buy, the planet we live on and the people we share it with. So, each individual operates based on a set of values and so do brands and corporations. Living an authentic life really comes down to living according to our values in each aspect of our lives. Say, we value honesty and straightforwardness: Ideally, that means we work for a company that has clear and open communication lines, internal and external. It also means we cultivate an open and honest relationship with the people in our lives and speak our personal truth. We know where the products we consume come from, who made our clothes, and how these people were treated in the process, for example. We demand and reward transparency. And so it goes with any other value we hold dear. Enter Weleda and its 7 principles. It is quite rare for a brand to be compatible with so many of the values that are central to conscious consumerism. Often, as a conscious consumer, you are forced to prioritize one value over another and make tough choices. I have written about this extensively here. 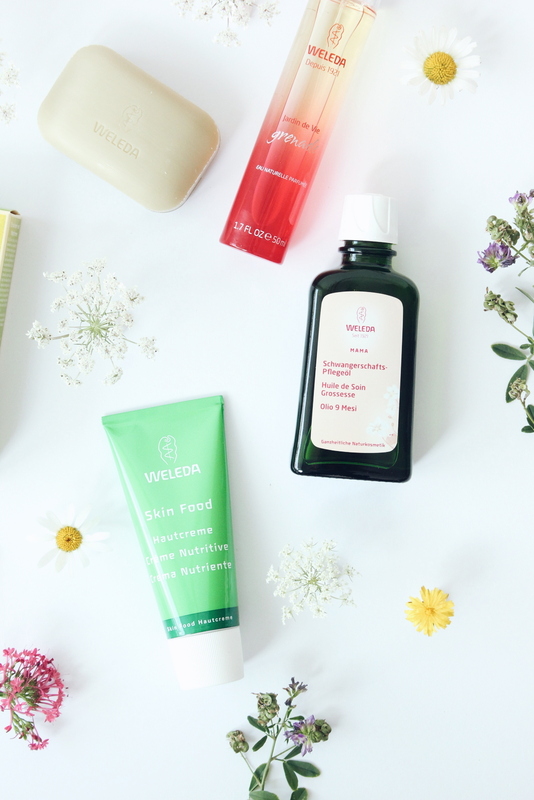 But Weleda, at its core, operates according to basic principles that are complementary and do not contradict each other, as they so often do with other brands. So here are the Seven Weleda Basic Principles and why they make it very easy to get behind the brand by tapping into what I deem true conscious values. Appreciating the people who work for you isn’t just about paying them a fair wage. It is about offering them opportunities to be a part of the vision by contributing their knowledge and skill. By engaging each individual worker in relevant processes an employer creates a sense of purpose and acknowledgment. This opens the door for true professional fulfillment. On top of that, Weleda has been audited successfully for the fourth time by the “audit berufundfamilie.” This audit aims to support companies in their quest to create work-life balance. Weleda has, among many other things, initiated a generation network. The network allows former employees to support current employees with day-to-day tasks and help out during special situations. This help can be in the form of support during times of sickness or with short-term childcare duties. At the heart of what Weleda does is the conviction that we are all intrinsically connected to nature. That our body, mind and spirit benefit greatly if we use nature’s gifts with a lot of care. This ideological conviction put into practice was also honored when Weleda won the Sustainable Beauty Award 2016 in the category Green Formulation. Weleda won the Sustainable Beauty Award 2016 in the category Sustainable Leadership as well as scoring 2nd best out of 50 brands dealing in fast moving consumer goods in the Sustainability Engagement Index in 2015. The latter measures consumers’ assessments of a brand’s sustainable efforts. It comes to no surprise then, that Weleda’s true colors shine brightly when looking at some of the trickier aspects of green beauty and health. Weleda does not test any of its natural or organic ingredients and products on animals as per the NATRUE certification criteria. It also does not sell any cosmetic products in mainland China where animal testing is mandatory (except for toothpaste and soaps that are exempt from this requirement.) Weleda subscribes to the highest standards of fair trade. Its palm oil is certified organic and sustainable and the company is a member of the Forum for Sustainable Palmoil (FONAP). Weleda products do not contain mineral oil but high-quality plant oils instead. Weleda uses natural wax granulates made from hydrogenated castor oil, a natural product, instead of plastic microbeads. This pretty much covers the most controversial topics that often put conscious consumers in a bind when making decisions. It clearly shows that Weleda is way ahead of the game of many of the other natural brands. Yet another award shows that Weleda is willing to walk the talk: It received the Swiss Ethics Award 2016 for its project “Ethical Sourcing of Natural Resources.” Weleda is the first and only company so far to subscribe to the social and ecological UEBT standards regarding sourcing of all its resources. For Weleda to push for stronger laws and more accountability, shows its true colors and that it is not afraid to keep improving their own processes. France has passed a similar law this year and we will see how the Swiss people vote on this when the time comes. By subscribing to uniform standards for all its business dealings regardless of its location, Weleda shows that a globally represented company does not have to sacrifice its standards to keep up with its competitors. As you can see, Weleda has won many sustainability and ethics awards over the years. These are a testament to the fact that Weleda’s principles are not just shallow words to make nice with today’s growing demand for ethical business practices. Instead, they are integral to everything Weleda does! It doesn’t look like it is going to let off anytime soon. If you want to support me in the Weleda Global Garden Winner contest, you can vote for me here. Make sure to validate your vote by clicking on the link you receive, check spam if you don’t get one! What do you think, do these values and how Weleda puts them into practice speak to you as a conscious consumer? Do you have any input or questions for Weleda? If so, please comment below so we can start a discussion.